American Express recently shook up the game by revamping and rebranding the Amex Premier Rewards Gold (PRG) to the Amex Gold Card. 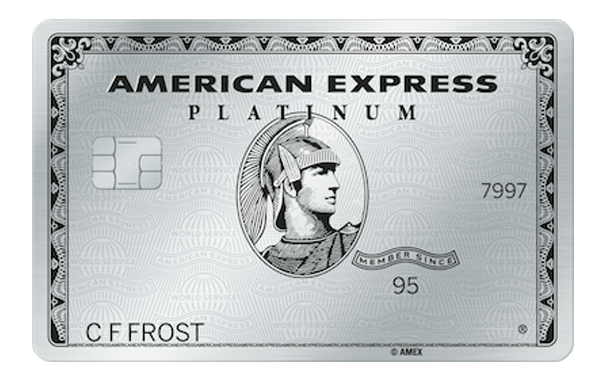 The new benefits and spending multipliers warrant a refresh to the (old) Amex Trifecta. The Amex Trifecta is a 3-card system that helps you maximize the number of MR points you can earn with everyday spend. The revised (unofficial Sebby version) 3-card system consists of the Blue Business℠ Plus Credit Card from American Express , the Platinum Card® from American Express, and the American Express® Gold Card. Alternatively, you can pick any three cards from the chart below and create a system that works for you. However, if you’re not planning on spending money on flights or hotels, or if you don’t qualify for business cards, the Amex Duo might be a better card system to earn points at U.S. restaurants, U.S. grocery stores, and U.S. gas stations. The Amex Duo consists of the Amex Gold Card and the Amex EveryDay® Credit Card or Amex EveryDay® Preferred Credit Card. Again, if the Amex Gold Card plus an Amex EveryDay card isn’t the ideal combo for you, pick a combo that fits your spending habits. View this post to calculate if you should apply for the Amex EveryDay or the Amex EveryDay Preferred. Depending on how you redeem MR points, the value can range from 0.6 cents per point (CPP) to 3 CPP. The ideal situation is to redeem points for at least 1.0 CPP. If you are a business owner, you can apply for the Amex Blue Business Plus card to earn 2X MR points on everything, up to $50,000/year. You don’t necessarily have to build out a trifecta if the cards don’t match your lifestyle. Having an Amex Duo works as well. There are terms that apply to some of the spending multiplier categories; these are noted with a red letter and footnotes at the bottom. The Amex EveryDay and Amex EveryDay Preferred have a % boost if you have a certain amount of transactions each month (20 and 30, respectively). We’re going to assume you have enough transactions to earn the points boost. In the chart below, you’ll notice a few YELLOW highlighted cells. These indicate the cards that stand out to me the most for the respective points multiplier category. For example, if you want to optimize for U.S. Supermarkets and U.S. Restaurants, I recommend going for the Amex Gold Card instead of the Amex EveryDay Preferred Credit Card. However, if you want to optimize for U.S. Supermarkets and U.S. Gas Stations, then the Amex EveryDay Preferred would be a better fit than the no annual fee Amex EveryDay card. Earn a 20% bonus when you make 20+ transactions (less any returns) per billing cycle.